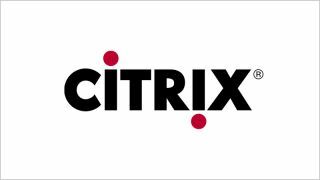 Citrix hopes consumers use Dex with its Citrix Receiver client. Citrix wants a part of that tasty Samsung Galaxy S8 DeX cake, and it has just announced a new software client to make sure it gets it. The newly announced Citrix Receiver is a free to download client software, which allows users fast access to XenDesktop and XenApp installations. The client allows users to access applications, desktops and data easily and securely, the company says. “While many people use their smartphones for business, they usually turn to a laptop or desktop when they need to use Windows or browser-based apps,” said Maribel Lopez, founder and principal analyst, Lopez Research. DeX is Samsung's attempt of turning a smartphone into a fully-blown PC. So far, other attempts by different companies have mostly failed. Microsoft is one of the companies that went the furthest with Continuum, but judging by the initial impressions on Twitter, DeX is quite ahead. The next frontier in the battle of smartphones doesn't seem to be of hardware nature, but instead, of software. As the devices become faster and more powerful, it's the software that will be making all the difference in the future.